Experience the thrill and adrenaline rush of this exciting participation game. 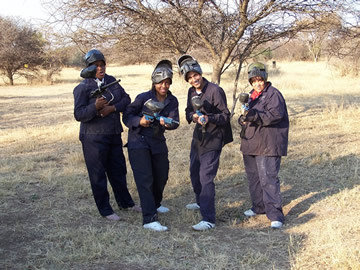 Paintball involves strategy, teamwork and fun for all. All safety equipment is provided and all events are run by highly qualified and experienced instructors. Safety equipment includes: Overalls, hoods, battle packs, full wrap round goggles and the latest semi automatic paintball guns.